Bakeni Pullia,near S.B.I. A.T.M, University road,Udaipur. 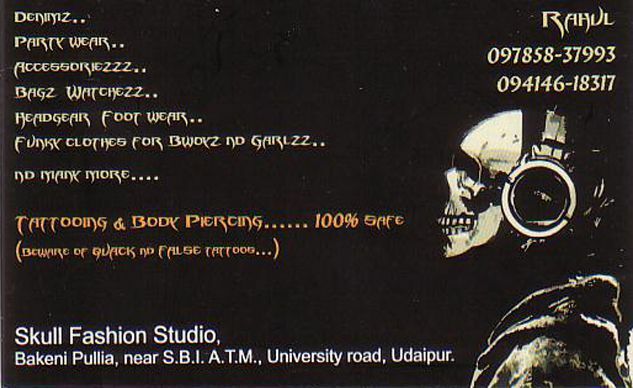 Skull Fashion Studio- Dare to wear Different. All kind of Clothes And accessories are Available.